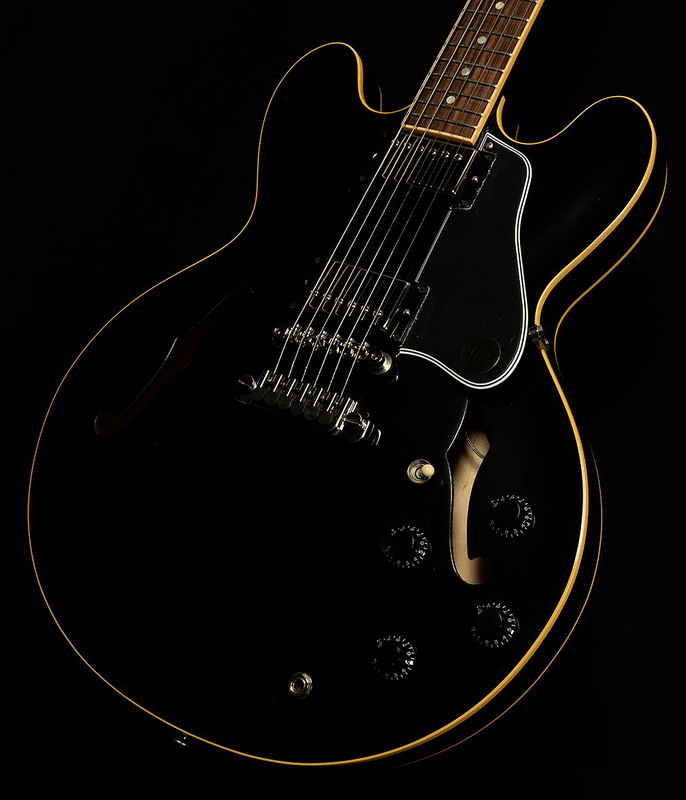 Wildwood Guitars is proud showcase this limited edition piece built by our friends at Gibson in 2006: the Roy Orbison ES-335. 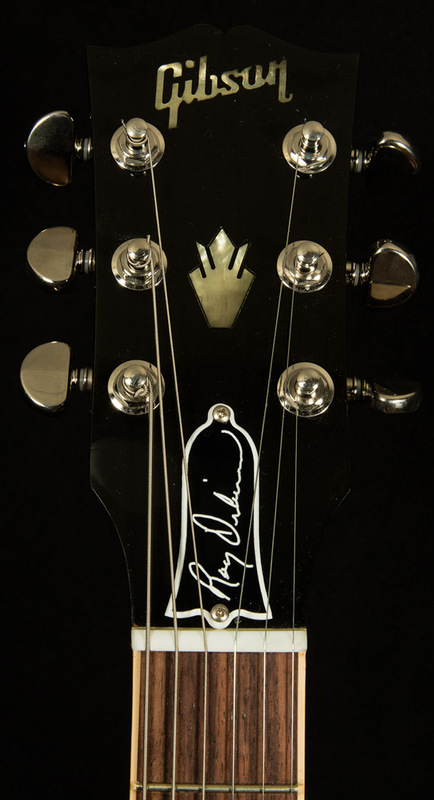 Roy Orbison was one of the great auteurs of pop music--believe it or not, he opened for the Beatles once and got an astounding FOURTEEN encores--and this spectacular semi-hollow is a fitting tribute to his legacy. It sports a no-nonsense ebony finish that suits the all-black aesthetic that Orbison cultivated over his career. Two '57 Classic humbuckers pump out plenty of thick, sweet semi-hollow tone, and the small "C" neck profile is quite a delight to play. Only two hundred of these guitars were ever built, and the Wildwood team is grateful for the opportunity to showcase such a rare piece of rock history. 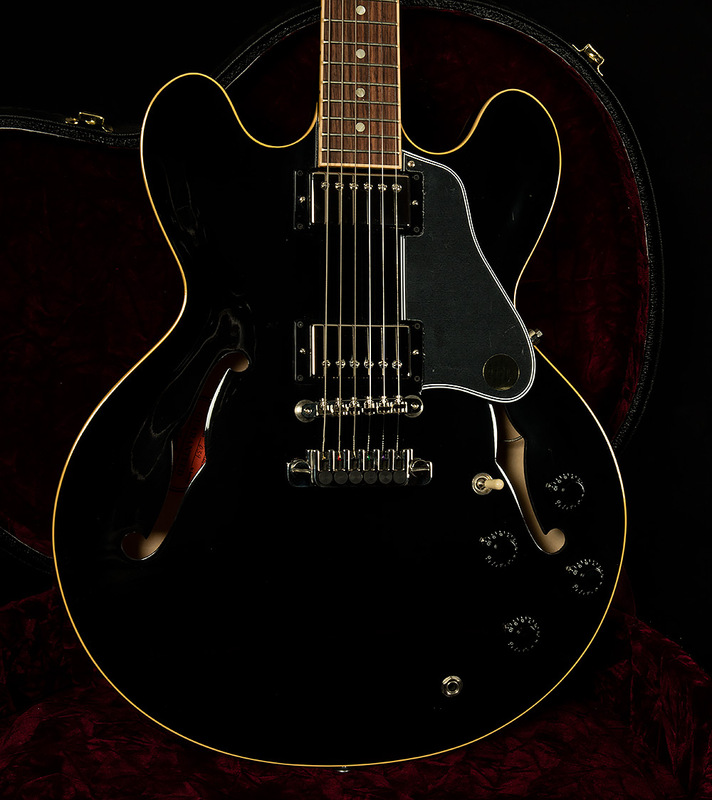 If you're looking for an iconic ES-335, look no further than this pretty woman! 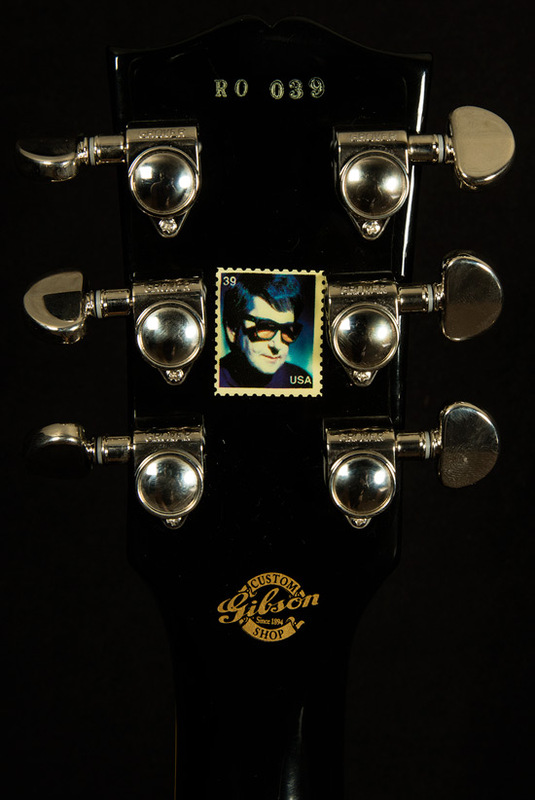 This is from the initial run of 70 that have the Postage Stamp on the headstock. Other than a small amount of tarnishing on the pickup covers and tuners, this Roy Orbison signature model is in immaculate condition. It comes wrapped up in its original Gibson hardshell case.